This post is for all the Dads and Granddads. A Fathers Day Challenge for you. I have been spending Father’s Day reflecting on my own father and what kind of man he is. He has always worked tirelessly, quietly and with great resolve in the background to provide for, and look out for, our family. 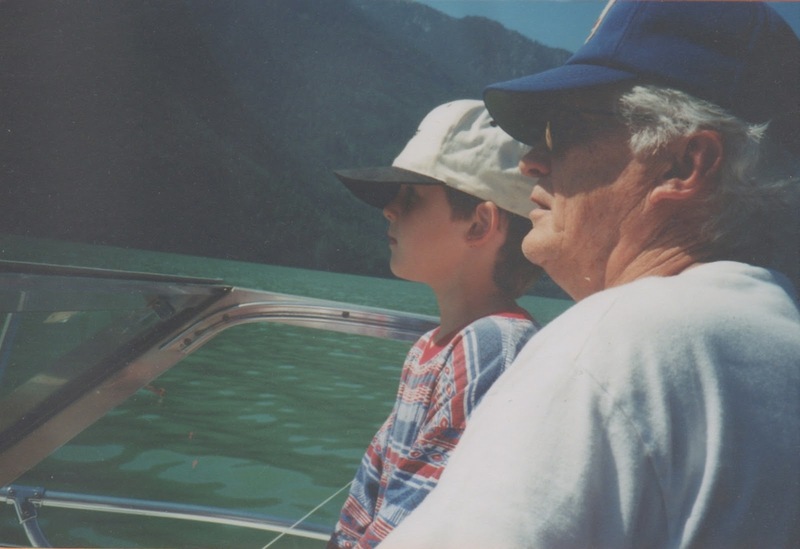 As a father he has been an excellent example and a wonderful mentor. 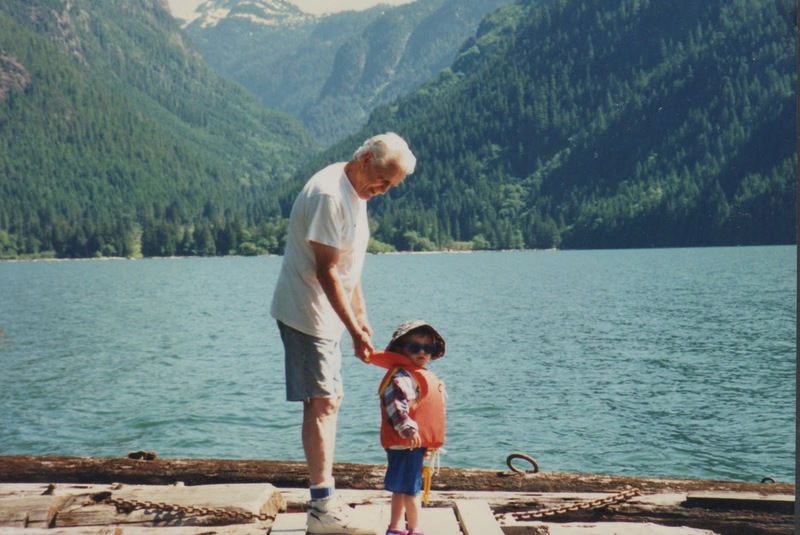 But he isn't only a father, he is a Grandfather and while I know that he was always there to protect and encourage my siblings and I, it is now so evident that he is doing the same for his Grandchildren. 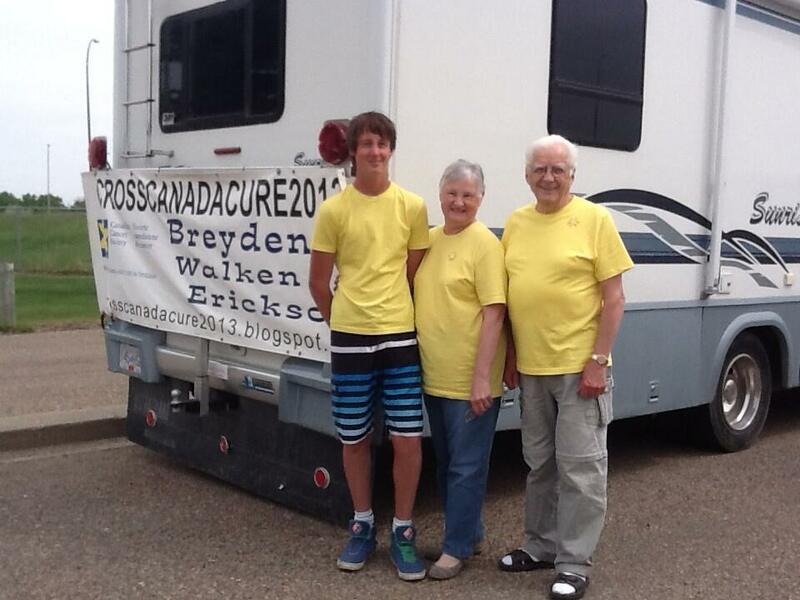 He and Breyden have always been close and that bond is becoming even stronger as they travel together, with Breyden’s Grandmother too of course, on his journey across the country to find a cure for cancer. 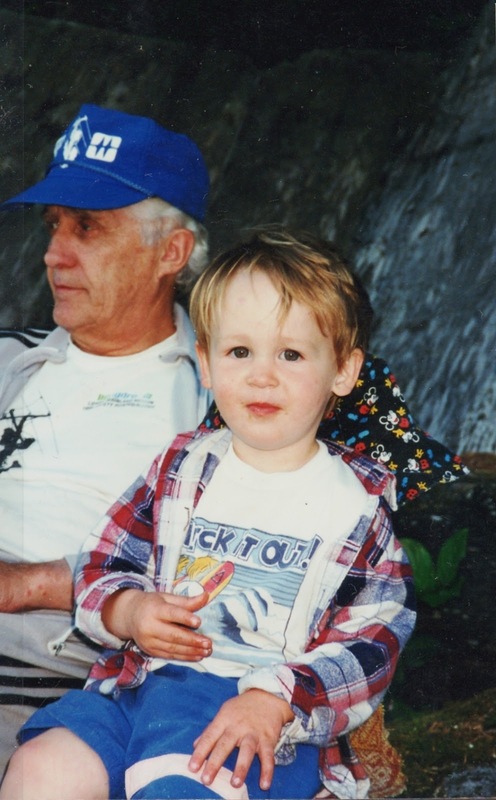 Breyden with his grandparents shortly before they joined him. People have asked what causes an 18 year old to put his life on hold to do something like this for another person. 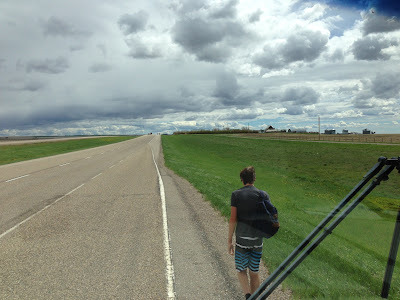 One need only look as far as the driver’s seat of the motor home to see the source of the selfless dedication required to put your life on hold to help someone you love. Shortly after Breyden started his walk it became evident to us all that his commitment and determination was unwavering. His Grandfather stepped up as well, and again, with his quiet resolve began preparations to become the road support team for Breyden. He and Mom had banners and business cards made for Breyden. They packed up the motor home, closed up the house and hit the road to ensure Breyden’s safety and to support his cause. They have been Breyden’s primary support for the past 2 months and are still going strong. So how is this a challenge, you say?? I know that dad, who is 80 this year, wants nothing more than to see Breyden succeed in his goal of helping to raise $323,323 for the Canadian Cancer Society. So, we challenge you to step up as well and to donate a dollar for every year you have been a father or a grandfather. Whether it is one dollar or one hundred dollars, every bit will help in ensuring that Breyden meets his goal and is successful in his selfless journey to benefit others. Click here to make a donation in honour of your child or grandchild. And please leave a comment below. 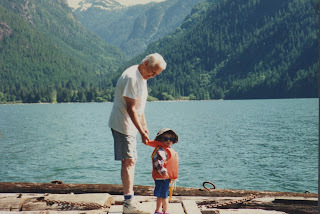 Would be great to hear from you readers and feel free to share yourFathers Day Story.